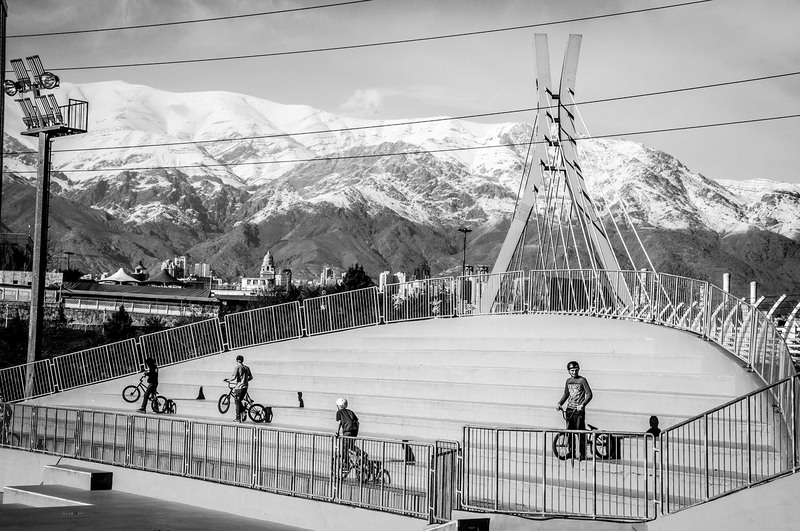 Conservatives in Iran frown upon skateboards or BMX. They consider it to be American. Nevertheless several skate-parks have erupted around Ab-o-Atash Park (Water and Fire Park), a rich area in the north of Teheran.